Here it is again, International Talk Like a Pirate Day! A day of pirate fun for the whole family, and a special day of observance for Pastafarians. One of the tenets of belief for those who follow the Flying Spaghetti Monster is that they “believe pirates, the original Pastafarians, were peaceful explorers and it was due to Christian misinformation that they have an image of outcast criminals today”. So today is a special day for everyone; Pastafarians, rum drinkers, and those who just want a little whimsy for a day. And there is still time left to celebrate! 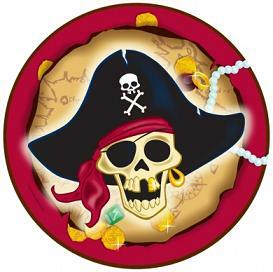 Thanks to the kind folks at the official International Talk Like a Pirate Day website, there is no shortage of assistance in helping you get yer pirate swagger on! For the record, the guys over at the International Talk Like a Pirate Day website don’t seem overly optimistic about your odds using these. I’d suggest you first start with a lot of grog! Good luck to ya’ land lubbers! And happy Talk Like a Pirate Day!